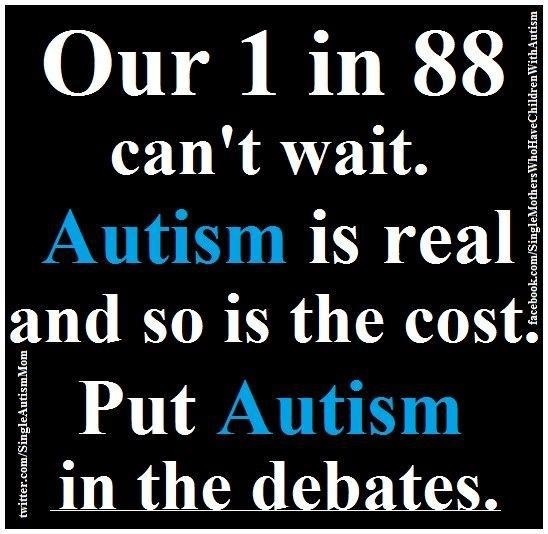 Get autism in the debate! Please, I URGE you to share this everywhere you possibly can!! Utilize your Twitter and Facebook and comment on the candidate’s pages! We have to speak for the ones who can’t.